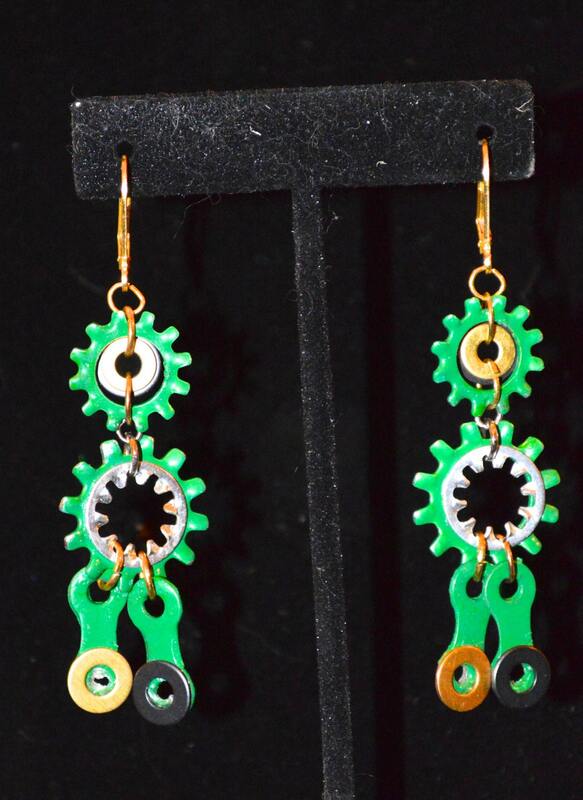 These unique bicycle chain earrings are carefully assembled using lock washers and upcycled bike chain. All of my pieces originate from donated or salvaged bike parts and have their own story to tell. Take these earrings out for a spin, or send a lovely gift to your favorite cycling friend!